The Hamilton Niagara Haldimand Brant (HNHB) Regional Cancer Program (RCP) oversees the delivery of cancer services from prevention to palliative care for the counties of Brant, Burlington, Haldimand, Hamilton, Niagara and Norfolk. The HNHB RCP works in partnership with all hospitals, organizations, agencies and key stakeholders in the region to provide cancer services to the 1.3 million people living in the HNHB region, including Indigenous peoples living on- and off-reserve. In collaboration with Cancer Care Ontario (CCO) and core Indigenous health boards, advisory committees and community representatives in the region, the HNHB RCP works to improve cancer outcomes and experiences of the cancer journey for Indigenous patients and their families. 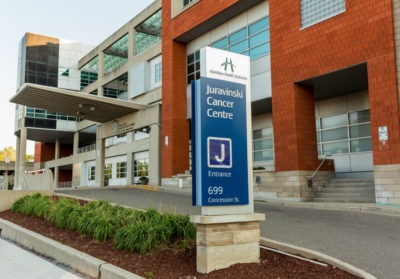 The Indigenous Patient Navigator provides support and advocacy for self-identified First Nations, Inuit, Metis, and Urban Indigenous (FNIMUI) patients and families in the region by facilitating and coordinating access to cancer services, palliative and supportive care, and addressing cultural and spiritual needs to make the cancer journey a culturally safe experience. The role of the Regional Indigenous Clinical Lead is to engage and collaborate with primary care providers to bridge patient and provider understanding of Indigenous cancer control and advocate for addressing the primary care needs of Indigenous people in the HNHB region. The Indigenous Coordinator works to develop and maintain collaborative partnerships with key stakeholders in the region. The Coordinator supports the work of the Regional Indigenous Clinical Lead and provides coordination and support for Indigenous outreach initiatives relevant to improving the cancer journey with, and for, Indigenous people in the HNHB region.